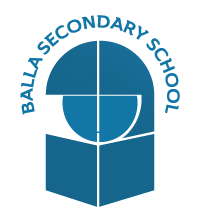 You are very welcome to the Balla Secondary School website where we seek to give you a true feeling of what it is like to be part of our school. Firstly, we are a more than just a school. Balla Secondary School is a close-knit, engaged, friendly community in which pastoral care is seen as our top priority. I often say to people that we see ourselves as a big, small school: big enough to offer a huge range of opportunities, but small enough that we are able to get to know our students, with all their individual strengths and unique characters, and able to encourage them to strive to be the best they can be. Established by the sisters of St. Louis in 1920, Balla Secondary School values its history, yet it blends traditional values – courtesy, tolerance, respect, decency – with a forward and outward-looking approach to education. Dedicated staff and excellent facilities combine powerfully as we prepare young people for the challenges which lie ahead at college and beyond. Set among a rural idyll in the beautiful and historic town of Balla, our unique location allows our pupils a joyful and secure place to achieve the exceptional. Our added-value in academic progress is among the most impressive in the county, and we run excellent extra-curricular programmes that provide broad, healthy and creative development for all of our students. We are rightly proud of our students’ achievements, both in the classroom and outside it, but the greatest pride we have is in the students themselves. They are our greatest achievement. I hope that you will find that this website offers an overview of what life is like for students here at Balla Secondary School. If you like what you see and read, then please do come and see for yourself those special qualities which make Balla Secondary School what it is. I look forward to welcoming you.